In 2015, 392 tons of waste was sent to local landfills from the park. In 2017, that number dropped to 244 tons, said Dawn Adams, zero-landfill initiative coordinator for Denali National Park. That's despite roughly 640,000 visitors in 2017, a record number, said Katherine Belcher, Denali National Park spokeswoman. The National Parks Zero-Landfill Initiative was announced by Subaru in August 2014. Denali National Park is given $150,000 in grant funding annually, Adams said. Denali is a roughly 120-mile drive from Fairbanks, and about 237 miles from Anchorage. 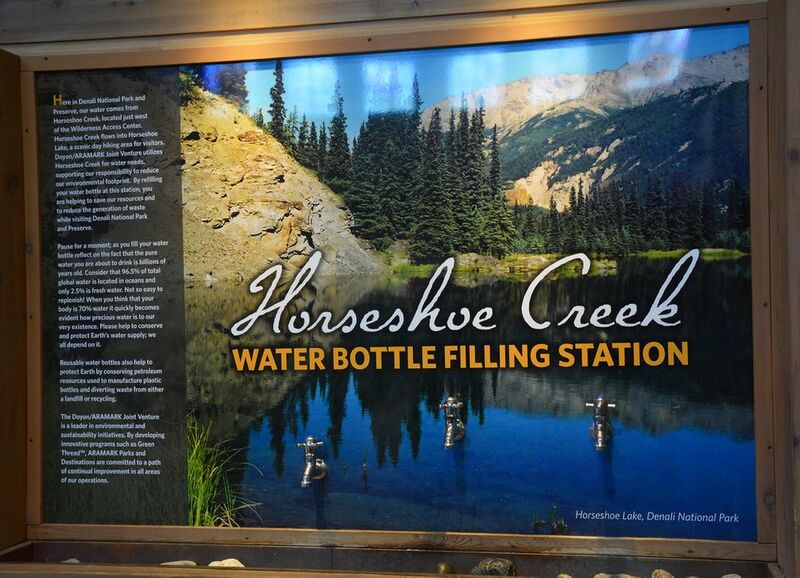 The park's remoteness means officials have had to assemble a patchwork of recycling resources. Recycling gets sent both north and south. Most goes to Valley Community for Recycling Solutions in the Matanuska-Susitna Borough. Glass is sent to Anchorage. And electronics go up to Fairbanks. The recycling is sent along on trucks that are already headed to various locales to pick up supplies, Adams said. Indications are that the efforts are paying off. The park's diversion rate – the amount of waste that was recycled instead of thrown away — went from 15 percent in 2015 to 22 percent in 2017, Adams said. 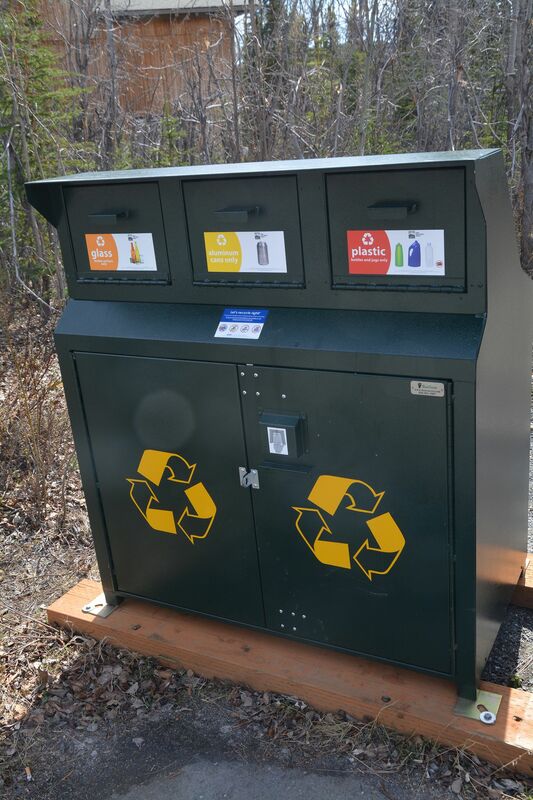 – The park has installed 33 new triple-bin BearSaver recycling containers with bins for aluminum, plastic and glass. In the campgrounds, people can also recycle steel cans and paper. – The National Park Service's recycling facility at the park was upgraded with better equipment, scales, sacks for recycling collection and carts for cardboard collections. – The park's concessionaire reduced food trash by diverting paper towels and food waste (mostly from employees), saving 6,275 pounds of food from the landfill, and composting it instead. – The park installed composting containers — Green Mountain Technology's Earth Cubes, which can take in 30 pounds of waste a day — in two employee housing areas. – Some funds have gone toward branded merchandise. For both the Park Service's centennial celebration and Denali's centennial the next year, the park hosted special events where it offered reusable cups and mugs and bamboo utensils. Denali was one of three national parks selected for Subaru's trial run of its zero-landfill initiative. The other two are Yosemite National Park, in California, and Grand Teton National Park, in Wyoming. Correction: An earlier version of this story incorrectly called the BearSaver recycling containers Bear Save containers.